Would God be diminished if I lived a question…. What would happen if I pursued God? With the raw, pulsing beat of Mystery? Too vast for one dogma or doctrine? Would I shatter at such a thought? Perish from paradox or puzzle? Shrink and shrivel before the power? As I discovered the magnitude of Grace? Then clothe me in curiosity and courage. This poem “Stripped by God” © 2007 by Rev. 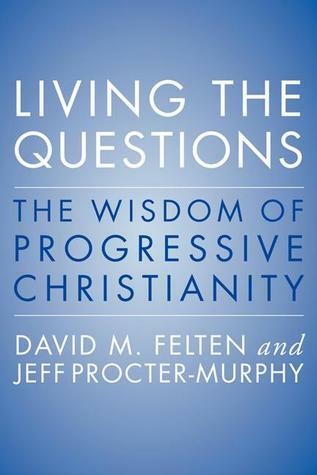 Cynthia Langston Kirk is quoted in “Living the Questions: The Wisdom of Progressive Christianity”. Her blog and web link are here. I am really interested in Cynthia Langston Kirk. A poet, story teller, fabric artist and an inspiring Christian minister involved in Piecing Stories Ministries and a retreat leader. (Wow that ticks lots of my boxes.) I find that poetry is a way of praying and saying deep things from the heart. It connects my fragmentary intuitions with some tessalated thoughts and makes new patterns from my heart, my prayer and my way of being and breathing life. I travel through poetry touching the surface and the cracks of things and allow myself to hear new sounds which are resonating in some deeper place within. I was introduced to her work through the Conference of Spiritual Directors on the occasion of their 30th Anniversary. As a member I attended the recent national gathering and support their great work and bless them. In this ‘Earth Week’ I wanted to link gratefulness to our perishable earth and so I am sharing the wisdom of Brother David Steindle-Rast OSB. I have been listening to his TED talk of late and his ‘On Being’ interview. You may be one of the 6 million people who have already heard this talk. If so I hope you still enjoy it as you follow his suggestions of Stop, Listen and Go.. The second talk, with link below, is from last year’s talk “Faith, Mysticism and Prayer”. His talk are quite inspiring. He discusses our place in the universe and our immersion in the mystery of all life. In his words we are ‘enfleshed’ in the universe. He talks about our breath being the spirit of creation within us and within all creation. He focus all things around an attitude and intention to gratefulness which he sees at the heart of our human development and which affirms and connects us in our personal sense of belonging. has been involved in inter-religious dialogue for decades and I find his talks heartening as we see the bigger picture he paints for us. I hope you may find time to listen to each of the talks. The Ted talk is about 13 minutes. 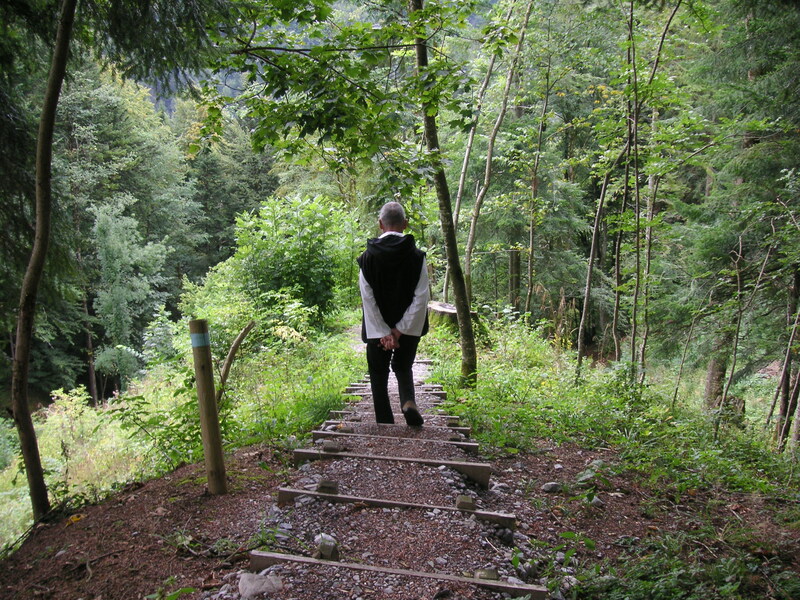 Finally I am including the text of a poem by Rilke which is Brother David refers to as one he finds most poignant. that its essence can rise again “invisibly,” inside us. We are the bees of the invisible. Faith, mysticism and prayer is accessed from Religion and Ethics Newsweekly. It has been with me for a very long time this heart. It turned up one day in my breakfast bowl. Just as it is. And it has stayed. It has remained. I found I really liked it. It was quirky, unusual and I didn’t ask for it. It was gift. I have rejoiced each morning since. the jostling in and out. to smile at the quirky and the unexpected. is something valuable, worth listening to, worthy of our trust, sacred to our touch. spontaneous delight or any experience that reveals the human spirit. We can never be born enough. which happens only and whenever we are faithful to ourselves. You and I wear the dangerous looseness of doom and find it becoming. and becomes a realm of your reality. graces to be received and felt within. Knowingly or unknowingly, we live a faith filled life. The plumb line cannot measure the depths of mystery in which we exist. As children and in some cultures – mystery, the unseen and the life of spirit are the context of our experience. Reality is, we are each part of something beyond ourselves and our comprehension. We swim in the unknown. Quote from the character John Keats in the movie "Bright Star". This quote speaks to me of our choices in our attitudes particularly to our spiritual life. Do we want to grab and capture everything, name it, define it and somehow be in control of it? Is our approach to mystery one of conquest as we seek to taste the mystery ? There is a wry paradox in trying to explain or detail the eternal ever present mystery. It seems so deficient that we should trade the magnitude of the wonder of the unknowable for a set answers of history, science or doctrine. Rarefied are the species who wait expectantly on faith and providence – or enter the realms of the intangible. Yet countless scientiests, spiritual wayfarers, contemplatitives and creatives attest to the reality and fullness of a spirit led life. it thinks us out of our world. We sense it limits, for we have made them. and make of yourself an offering. I don’t want to think a place for you. Speak to me from everywhere. without looking for its source. it is with my whole life. Gradually we become more present and receptive to our God -the One who cannot be named or contained. To be open to God is to be open to the Mystery of our being, beyond limits. FURTHER READING: I recommend to you today Dylan Raines who is about to commence a walk for water in 3 days. … He has a most interesting blog on using meditation to make yourself happy. Extract from Rainer Maria Rilke’s Book of Hours:Love Poems to God Translated by Anita Barrows & Joanna Macy.